Nothing is easier to wear than an infinity scarf. Not only is it a continuous loop, there are infinite ways to wear it. Drop it over your head, double it, and look terrific. Pull one end through the loop to wear under a coat. 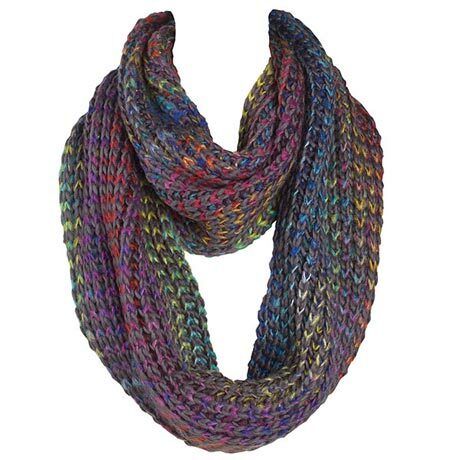 Rainbow colors on gray 100% acrylic chunky knit, super-soft and versatile. 10" wide, 65" around. Hand wash. Imported.